Fuchsia_Bubblopes_with_VELCRO_Brand_Closure is rated 5.0 out of 5 by 1. 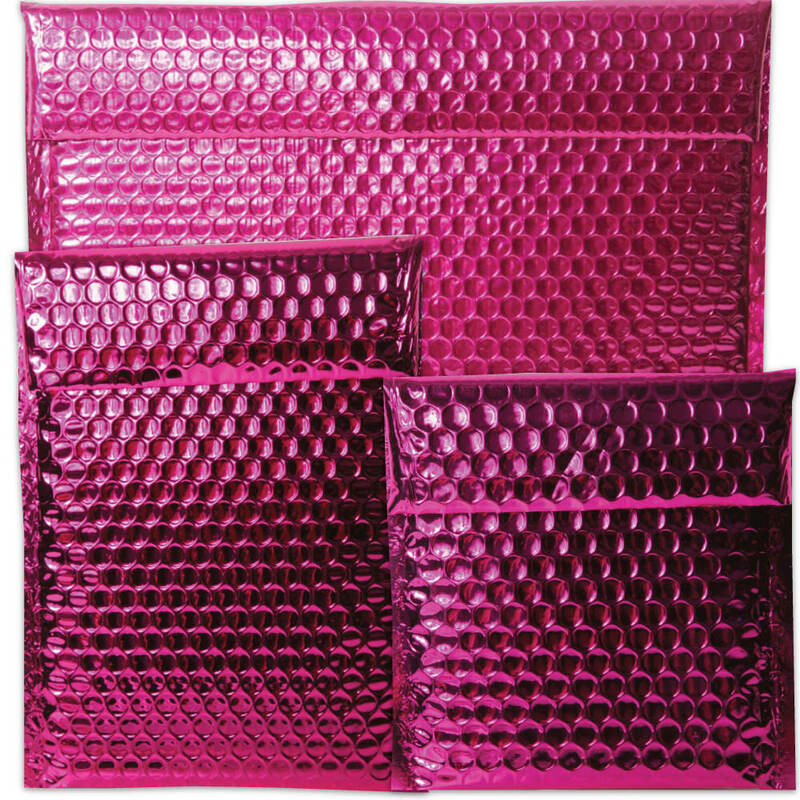 Rated 5 out of 5 by Sary59 from Superb Quality These padded envelopes are cute and perfect. The quality is superb, and the shipping was very fast. I will purchase again from JAM Paper & Envelopes. My question is&gt; Can these bags be larger size than what they are? I really need them for packing t shirts in them? Sorry, the largest bubblopes we have measure 10 x 13. Stop living in that bubble of white envelopes. Branch out and use pink, use bubbles, use velcro®! These pretty packages will make any content feel that beauty and feel that protection. With the padded bubble material that covers the whole envelope, your items, fragile, important, or just special to you, will stay in a bubble of protection (what better bubble is there?). The fuchsia color will bring that feminine edge and the metallic shine will bring some extra flair. Along with the bubble padding we've already bragged about (because well, it's that great), is the Velcro® Brand Closure. Easy to seal, easy to open, and even easier to reuse. So whether you want to package your CDs, family portraits, confidential files, or more, anything and everything will be protected in fuchsia pink!